We run a full appointment system. Appointments may be made by telephoning (01329) 823456 or by calling at the surgery. You can also make an appointment via the Patient Access, simply click the link above. Routine appointments may be made in advance which will enable us to offer you an appointment at a time more suitable to your requirements. We aim to provide both pre-bookable appointments and 48 hour access if required. We will always see urgent medical problems the same day. Routine appointments in advance can be made via reception. 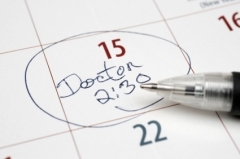 Requests for sooner appointments if your preferred Doctor is not available and requests for same day appointments are triaged. 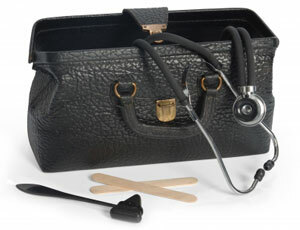 A Doctor or trained nurse will call you back and offer an appointment appropriate to your needs. Alternatively they also provide telephone advise if you have a problem that can safely be dealt with via the telephone. We have a mixture of appointments throughout the day and offer these from 7.30am to 8.00pm including every 4th Saturday morning. We constantly strive to respond to our patient's needs and welcome your feedback. If you want to cancel an appointment please phone the Surgery during opening hours or email us at fgccg.centrepractice@nhs.net telling us when the appointment is and who it is with. It helps us if you can give us as much notice as you can so we can offer the appointment to someone else. Thank you. You can also sign up to our text reminder service and will then be able to cancel appointments by text message. Patients are requested to telephone before 11:00 if medical assistance is required that day. After this time we only have an emergency doctor available. We would always request that apart from the genuinely housebound that all other patients would try to attend the surgery rather than request a home visit because of the extra time home visiting takes. On average 6 patients can be seen in surgery in the time it takes to do 1 house call. In addition the examination may be limited at home due to lack of portable equipment such as the ECG machine. Please note that the doctor may telephone you rather than visit you if this is medically appropriate.